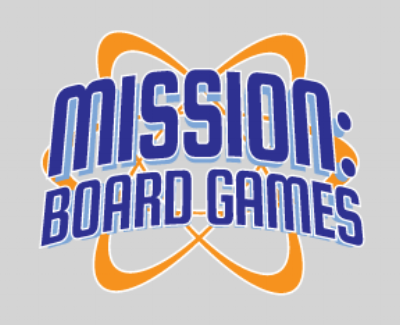 Our monthly Game Day is Saturday, October 13, 2018 at Mission: Board Games, located in Mission (map). Come out and join us as we play some games! Don't forget our monthly online business meeting Tuesday, October 9 at 7pm. Phone users can dial in at 1-415-200-1362 and use PIN 2070521#. 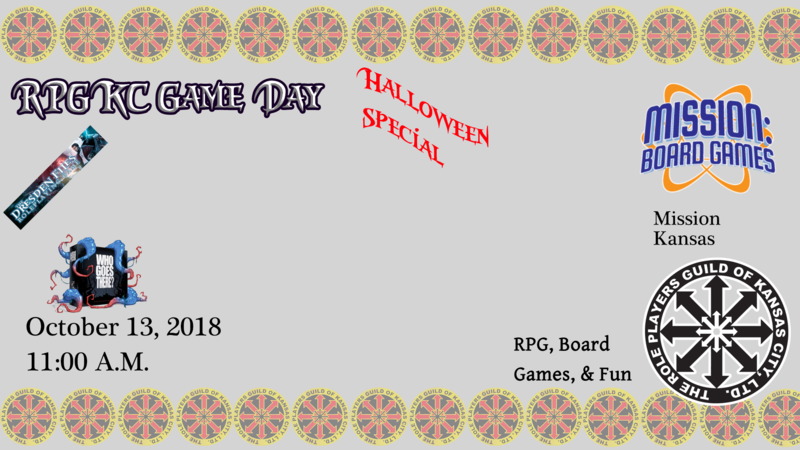 Our monthly Game Day is Friday Night, September 8 at 6pm until Saturday, September 9, 2018 at 6pm. 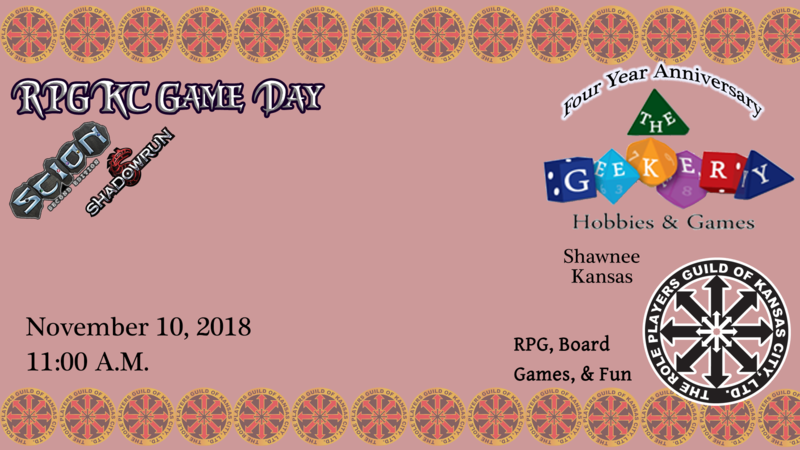 Come out and join us at Meeple-A-Thon as we play some games (and help money for a good cause with a raffle for great games)! Meeple-A-Thon is hosted at iWerx, 1520 Clay St, North Kansas City, MO 64116 (map). This is a special 24-hour marathon so at your convenience, drop in and play a game. RPGs and board games available during the night and day. This is a SPECIAL time and place to raise money. ARE THERE PRIZES? YES! There will be Play-to-Win games. Play a game, if you like it, drop a raffle ticket in there to potentially win! There will be a "tiered" raffle structure. Don't forget our monthly online business meeting Tuesday, September 11 at 7pm. Our monthly Game Day is Saturday, August 11, 2008 at Peculiar Games and Hobbies, located in Peculiar (map). Come out and join us as we play some games! Recruits 2018 is Just Weeks Away! 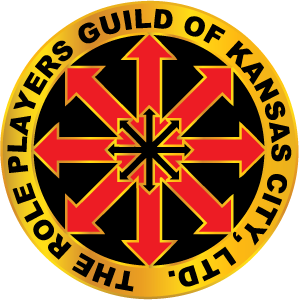 Recruits, Kansas City's storied Fall tabletop game convention, is rapidly approaching this September 28-30 at Lee's Summit High School! Recruits is a historical, fantasy, and sci-fi wargaming convention free to students and only $5 to everyone else for the entire weekend. It's a great time for wargaming, board gamers, and role-players alike. Lots of great exhibitors and activities. You'll have a blast! Check out their site and get the details at recruitsconvention.com! Event Submission is still open! With only a month a little over a month to go, players are busy signing up for events! Make sure yours is up in time that people can see it, and grab a spot! Event Submission closes just after Labor Day! Submit your role-playing events with us here. Board games and miniatures games can be submitted directly to Recruits here. Note: GMs are still required to pay the $5 fee for the weekend, but get access to the GM hospitality suite! Don't forget our monthly online business meeting Tuesday, August 14 at 7pm. Our monthly Game Day is Saturday, July 21, 2018 at (map). Come out and join us as we play some games! Don't forget our monthly online business meeting Tuesday, July 10 at 7pm.